While you can probably install your own toilet, the plumber will help with more difficult projects like carving out a sparkling new bathroom, adding a shower on the kids' floor or running lines in your new kitchen. Talk to neighbors who have had remodeling or new construction work completed recently and get names. 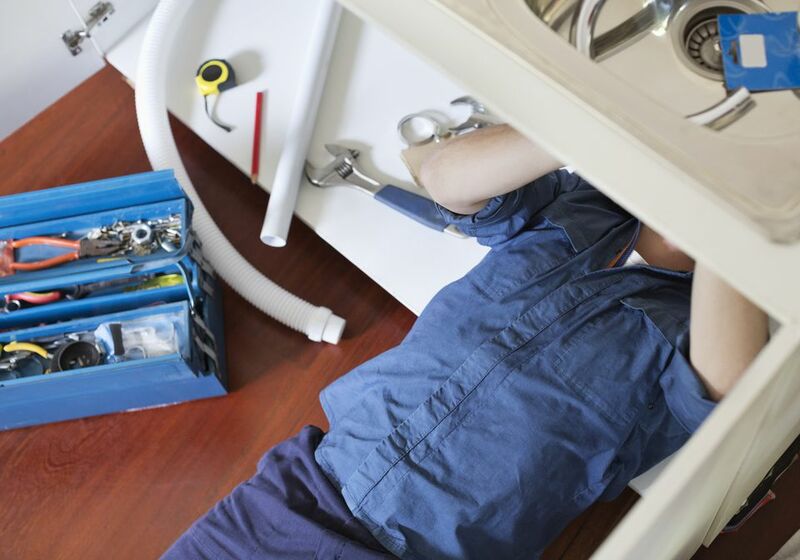 Keep in mind that you are hiring a plumber for remodeling or construction, not for repair. Those quickie-plumber trucks you see all over town specialize in emergency repairs. What you want is a plumber who will come prepared on an assigned date and perform solid work, follow a pre-determined estimate, and assist you in your kitchen or bathroom renovation. Check your state's licensing website to see if a plumber is licensed and has any pending or resolved complaints. Not all states license plumbers, but ​​the Contractor's License reference site is a good place to start your search. Remember, if a plumber is licensed, that doesn't necessarily mean they're a great plumber. It just means they have satisfied the minimum requirements to remain licensed. Word-of-mouth is a much better indicator of a plumber's value. Pin down your plumbing plan before calling plumbers. The plan does not need to be refined down to types and sizes of pipe and fittings; the plumber will do that. But you do need to know what you want the final result to be. Most plumbers arrive ready to work. If he or she works for themselves, time spent talking with you is downtime that cuts into their revenues. If the plumber works for a company, they still need to be accountable for time spent doing something other than billing for work. While you can expect good advice from plumbers, do not expect them to sit down at the table with you and draw out plans. Follow our tips for planning new plumbing routes. Rates for non-plumbing tasks (such as opening up a wall)? Are they bonded, have worker's compensation, and liability insurance? Assuming your project is not a rush, can you negotiate a more advantageous deal by employing the plumber at one of his or her slow times? Call and ask for the manager. Be patient. They likely deal with contractors and may not get many calls directly from homeowners. Admitting that you'd like some of their expertise can disarm them, though. Assuming that the plumber is not obtaining the permit for you, now is the time to apply for it. You will probably be buying your own fixtures, toilets, sinks, and the like. Be prepared before the first workday begins. You don't want your expensive plumber to waste valuable time opening up walls, clearing crawlspaces, lighting dark basements. Even if you think they should do this, do this for them. It's your house, after all. Don't hover. Instead, remain out of sight but within calling distance for questions from the plumber. You want to encourage questions. You will get a much better work product if you do.